Thank you to our dear friends at Expect Miracles Foundation and KOA Care Camps! Both organizations have chosen to fund our work for the third consecutive year. We are so grateful for their support. Read more for details! Our Spring 2018 Family Newsletter is out! Our Winter 2018 Family Newsletter is out! SUDBURY, MA. -- December 1, 2017 --- Camp Casco, a nonprofit organization offering free camp experiences for childhood cancer patients and survivors, presented Stephen Sallan, M.D., a Dana-Farber Cancer Institute pediatric oncologist, with its first annual Friend For Life award at the Campfires and Cocktails annual benefit. The “Friend for Life” award recognizes an outstanding individual who has greatly impacted the childhood cancer community. Dr. Sallan is a leader in his field, through his work progressing the treatment of acute lymphoblastic leukemia (ALL), the most common form of pediatric cancer and a disease that affects many of Camp Casco’s campers. Dr. Sallan is a pediatric oncologist at Dana-Farber Cancer Institute/Boston Children's Hospital, professor of Pediatrics at Harvard Medical School and Chief of Staff Emeritus at Dana-Farber Cancer Institute. He has dedicated his career to improving long-term outcomes for children and young adults affected by ALL. Dr Sallan’s therapy treatments offer less toxic options and have improved childhood cancer survival rates. It's $10 May Day at Camp Casco! Every donation makes a huge impact in our small organization - just $10 can provide an important medication or supply to our Med Shed, or a pack of night lights to make each room a little more comfortable! Camp Casco partners with LINX Camps to unite siblings in 2017! Camp Casco is committed to creating amazing camp experiences that build lifelong connections for children with cancer and their families. We provide a life-changing week of sleep-away summer camp for childhood cancer patients and survivors ages 7-17 each August in the Berkshires. Applications are available now on our website! Our dear friends at The LINX Companies are big supporters of our mission to build lifelong connections between children affected by cancer. In 2017, we are excited to team up with LINX to take our mission one step further by offering something special for siblings. LINX has generously offered to provide a similar camp experience to build community and character for our wonderful siblings. If you're among the first to submit your eligible child's application to Camp Casco 2017, your camper's sibling will receive one free week of day camp at LINX Camps! Be one of the first 10 families to apply to Camp Casco 2017, and your camper's sibling can attend LINX General Camps from 7/3/17 - 7/7/17, completely free-of-cost. This includes camp, bussing and lunch, valued at $795.00. LINX General Camps offer a traditional summer day camp experience, where campers explore fun camp activities under the guidance and supervision of expert instructors and dedicated counselors. Campers are placed in age-appropriate groups and travel with their groups from activity to activity. Traditional camp activities may include sports, archery, canoeing, fishing, rock climbing, games, swimming, and more! Offer applies to week of 7/3/17 - 7/7/17 only. Offer is good for one free week for one sibling per family, who must be 3-13 years old on 7/3/17. This offer is non-transferable between families and may not be applied to the child who plans to attend Camp Casco. Information on how to redeem the free week of LINX Camps will be provided to the first 10 families to complete their eligible child's application to Camp Casco 2017. Three great ways to give more smiles this holiday season! Camp Casco gives kids affected by cancer smiles, self-esteem, and support. You can help spread smiles this holiday season by sending more kids to Camp Casco in 2017! We've listed a few ways you can support our mission below, and #1 won't even cost you a dime. Give the gift of camp, and give local kids affected by cancer unforgettable experiences and lifelong friendships. 1. Use AmazonSmile while you shop! With Black Friday and Cyber Monday quickly approaching, consider shopping on behalf of Camp Casco! You can now give 0.5% of every Amazon purchase you make to Camp Casco at no additional cost to you, simply by signing up for AmazonSmile. Visit www.smile.amazon.com to sign up, and select "Camp Casco" when choosing your charity. Whenever you shop through Amazon, 0.5% of your purchase will go to Camp Casco to help provide a free summer camp for local kids with cancer. Just make sure to always sign in to Amazon through www.smile.amazon.com to make sure each purchase you make qualifies. 2. Join us on December 16 for Terrarium Night at UNO! Can't make it? Eat at UNO Pizzeria in Kenmore Square anytime on December 16, and UNO will donate 20% of food and drink sales all day for dine-in or take-out customers who show this flyer. 3. Donate to Camp Casco this #GivingTuesday! #GivingTuesday is a global day of giving, celebrated on the Tuesday following Thanksgiving, Black Friday, and Cyber Monday. #GivingTuesday kicks off the charitable season, when many focus on their holiday and end-of-year giving. This November 29, please consider giving to Camp Casco! All donations received now through 11:59 PM on Giving Tuesday will be entered to win a "hero" bracelet made especially for Camp Casco by Etsy's The Mindful Manatee! The image of graduate study is often a solitary one, filled with long hours of work in the library, the archive, or at the lab bench—and often that’s the reality, as well. And yet, all across GSAS, students are finding ways to connect their scholarly interests and creative passions with communities beyond Harvard’s gates. Whether they are founding nonprofits, demystifying the latest advances in science for the public, or sharing classical music with new audiences, GSAS students are discovering that what they do outside the classroom provides as much opportunity for learning—about themselves and their community—as what they do in it. For Erin Fletcher, AM ’15, biological and biomedical sciences, a part-time commitment to service became a full-time career. As an undergraduate in California, Fletcher volunteered at a camp for pediatric cancer patients and survivors. The experience inspired her to study microbiology and devote herself to cancer research—a decision that, in turn, brought her to Harvard. When she arrived in Cambridge in 2013, she went looking for a way to continue her volunteer work, expecting to find a similar camp in Massachusetts. “I wanted to stay involved and thought a similar camp must exist on the East Coast,” Fletcher explains. To her surprise, it didn’t. For most people, that would be the end of the story, but Fletcher wasn’t interested in giving up. “I thought, if no camp for kids battling cancer exists, we could start one.” Today, Camp Casco is gearing up for its second summer session. Laying the groundwork for Camp Casco turned out to be just as much an education for Fletcher as her courses in biology, as she faced the challenges of starting and funding a non-profit organization from scratch. She had an ambitious vision in mind: a no-cost, sleep-away camp that would foster friendships among children who shared similar experiences, capable of offering medical care and support, and at the same time providing a place where kids could be kids and do all the typical camp things—from archery, swimming, and canoeing to gathering around a campfire. The first challenge for Fletcher and the team of fellow graduate students who helped her launch Camp Casco was to raise the $50,000 needed to send 13 campers and a team of 22 counselors and medical professionals to camp in the Berkshires. She started locally, asking members of her department for donations. Whitney Silkworth, a PhD candidate in biological and biomedical sciences, was among the first to sign on. “I couldn’t donate much money, but I told Erin she could have all of my spare time,” Silkworth says. Together with Yi-Jang Lin, another doctoral student in biological and biomedical sciences, they secured pro-bono legal services to set up the non-profit, and then Silkworth turned her eye towards helping Fletcher raise money. Needless to say, the experience of starting Camp Casco has been a life-changing one for both Fletcher and Silkworth. “I had never done anything quite like this before, and it was the best and most significant week of my life,” Silkworth says. Fletcher has translated her part-time commitment to Camp Casco into a career—she left her program in spring 2015 to run Camp Casco as CEO. When Whitney Silkworth decided to take a week off last summer from her lab work with Professor David Fisher, a cancer researcher at Massachusetts General Hospital, it wasn’t for vacation. Silkworth, a PhD candidate in biological and biomedical sciences who is studying the causes of melanoma, had made a commitment to Camp Casco, a summer camp for children with cancer that she established with fellow graduate student Erin Fletcher, AM ’15. Though Silkworth had devoted her spare time to nonprofit organizations before coming to Harvard, she never expected that in her second year of graduate school she would help found one. Receiving an e-mail from Fletcher, then a fellow graduate student in her department, eventually led to a deeper involvement with a project that became Camp Casco. In the months that followed, she made good on her promise. As Fletcher explains, Silkworth was instrumental in seeking out pro-bono legal resources to help Camp Casco attain non-profit status and working to raise the necessary funding. In summer 2015, Camp Casco offered its first, highly-successful week in the Berkshires for pediatric cancer patients and survivors. Massachusetts General Hospital Cancer Center recently honored it as a “top one hundred,” a distinction awarded to organizations making an impact on cancer research and patients. Silkworth thrived at the Broad Institute. “The stars aligned for me in Professor Golub’s lab,” she says. “It was so high-energy, high-focus, and everyone was so driven—it was an extremely inspiring environment.” It also motivated her to apply for graduate school. “I wanted to be on par with these incredible people and the conversations they were having,” she says, citing her mentor, postdoc Kristina Masson, as a particular influence. Today, Silkworth is trying to understand the role of beta-endorphin, a hormone responsible for pain suppression and positive feelings associated with the skin’s response to UV exposure. “Our lab recently discovered that beta-endorphin likely mediates addiction to tanning, which may underlie sun-seeking behavior, despite the known association of sun exposure with skin cancer,” she explains. While committed to basic biological research, Silkworth continues to investigate medical applications. Since her first year at Harvard, she has participated in the Leder Human Biology and Translational Medicine Program (LHB), which provides graduate students exposure to a wider range of biology and disease-oriented courses while facilitating future collaboration with medical professionals—bridging the gap between the lab bench and the clinic. WBZ's Laurie Kirby speaks with Erin Fletcher, founder of Camp Casco, who walked away from a doctoral program at Harvard to start a camp for kids with cancer. Soon after moving to Brookline two years ago, Erin Fletcher began searching for a free camp for kids with cancer, similar to the one at which the 26-year-old has volunteered for the last eight summers in her native California. Again and again, people told her they weren’t aware of a local version of Camp Reach for the Sky in San Diego. Then Dr. Michael Goldberg of the Dana-Farber Cancer Institute offered to help her start one. 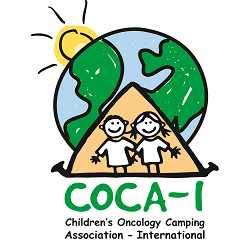 Fletcher, who at the time was conducting colorectal cancer research through a full-time doctoral program at Harvard University, incorporated Camp Casco for pediatric cancer patients and survivors in October 2014. After securing nonprofit status with pro bono legal services, the pair exceeded $50,000 in fund-raising before recruiting campers from cancer clinics, nonprofits, and foundations. With an all-volunteer staff of 20 camp counselors and five medical professionals, the inaugural Camp Casco hosted 13 campers, ages 7 to 18, at the Berkshire Outdoor Center from Aug. 24 to 28. The theme for the week was superheroes, with traditional camp offerings of archery, canoeing, swimming, indoor rock climbing, and nightly campfires. Special activities included “wipe out lunch,” where campers ate in a darkened room with glow-in-the-dark objects. For “egg roulette,” they smacked an egg — not knowing if it was raw or hard-boiled — against their favorite counselor’s head. Fletcher, who left Harvard with a master’s degree in May 2015 to run the camp full time, is currently seeking partnerships and sponsorships to expand to 28 campers (representing two new cabins of seven). Applications will be accepted in January for summer 2016. While a separate date may someday be added for siblings, Fletcher intends to keep the same week each summer for the current campers. The goal, she said, is for the kids to continue offering one another friendship, support, and hope through shared experiences. For more information, visit campcasco.org. Watch CEO Erin Fletcher and Medical Director Dr. Jeffrey Vogel talk about Camp Casco with NewTV's Jay Sugarman on Innovation Showcase! In the spirit of Camp Carole, which was a recreational diversion for kids fighting cancer that inspired a local high school football game before closing in 2007, a one-week camp will open this summer at the YMCA Berkshire Outdoor Center in Becket, Mass. Camp Casco, organized by graduate students and professors from Harvard and MIT, many of whom are involved in cancer research, will run from Aug. 24-28. The camp is free to Massachusetts residents, ages 7-17, who currently have cancer or are survivors. They must receive permission from their oncologist or primary care physician. Activities will include arts and crafts, swimming, canoeing, indoor rock climbing, and photography lessons provided by Christian Pleva Images. Complimentary transportation to the camp will be provided from Boston. Medical professionals will be on site at all times to administer regular medications and provide medical attention as needed. Any interested families can contact Erin Fletcher at campcasco@gmail.com or by calling 323-452-2726.